In the workers’ compensation industry, about 20% of the injury claims are responsible for 80% of the costs. These cases frequently require a specific approach to help prevent them from becoming complex and mitigating those that are catastrophic. Through various tactics including employee empowerment, enhanced communications, litigation avoidance and managed care strategies, we can take steps toward identifying and working to resolve these cases while meeting the needs of the injured employees. Running data through the right predictive models can help to identify cases that have the propensity to become complex. The examiner can utilize this information to construct and provide the injured employee with a unique blueprint for the claims process. This early step is a vital component and can have a dramatic impact on the final outcome. The blueprint will help the examiner communicate effectively so the injured employee sets realistic expectations, and understands the process, their benefits and the remedies outside of litigation. It should also explain the roles of each team member who will be helping them and how each step benefits them. A key part of this is about communicating on the front end. It is how we communicate with the injured employee based on their individual needs. Some individuals will want hands-on, frequent support and explanation while others may not. It is about understanding individual personalities and needs, and then using a specific strategy around the unique aspects of the case revealed during the initial contact, the nurse’s hospital visit or through conversations with the family. If an injured employee says things like ‘I’m going to lose my job’ or ‘I don’t know how I’m going to pay my bills,’ these could be red flags to better manage communication and alleviate concerns early. It is important for the claims and managed care teams to know what to look for and to deploy resources with the right skill sets and education to meet each employee’s needs. It is important to remember that the injured employee’s indemnity check is their paycheck not a disability check. They need to be assured they will be able to pay their bills and take care of their daily responsibilities. If they don’t feel like they can do these things, then litigation and third party involvement increases. When the claims and managed care teams are engaging with the injured employee, it’s their job to make the process as seamless as possible because workers’ compensation can become overwhelming for the employee. Being the injured employee’s advocate from the start can help ease the employees concerns and will set the right stage for the entire claims process. The examiner, nurse case manager and all of the team members must demonstrate through their actions that they are there to take care of the injured employee. In addition to setting their expectations early, it is important to make sure injured employees understand their remedies outside of litigation. These options will vary by state, but the claims team can work directly to reduce the chances of litigation by helping empower employees. If they have a voice in the claims process, they are going to have better outcomes. For example, if the claims examiner gives an injured employee a list of doctors, that based on prior outcomes get good results, and ask the employee to choose the one who is best for them, they will feel empowered in that choice. In addition, it is important for some injured employees to be able to secure a second opinion or validate what they are being told. The examiner can help by providing resources to assist them. This can help build rapport and credibility, which can pay dividends when attempting to bring the case to a reasonable and timely conclusion. When you have an injured employee with a claim that has a propensity for litigation, they are going to want more time and engagement from the examiner and claims office. Individuals with complex or catastrophic claims and their families have anxiety over the process. They will want to discuss certain decisions and understand how each one impacts them. Ultimately, advocacy is about helping the injured employees achieve good outcomes. Educating them about good choices and empowering them to make those choices is a big part of that. The primary aspects of being an advocate include engaging the right resources, and developing creative approaches to medical care and resolution. In addition, it is important to continue making sure the communication pathways to the injured employee are compassionate and are provided with thoughtfulness around their specific circumstances. Hindsight is always 20/20. When you look at a case that started out as a standard claim for a soft tissue back injury and then became complex, it may be easy to see the moment where a different decision would have put the claim on a completely different – and more successful – path. We can get closer to pinning down that moment through strategies such as the predictive analytics, data mining or identifying red flags early. One way employers can use predictive analytics is to identify claims that have a higher propensity for litigation. Information on any co-morbidities, accurate diagnosis documentation and rules linked to the length of disability should consistently be part of the data. These elements help identify the claims and build an effective process for engaging an escalation manager who can deploy the right resources such as nurse case managers, pharmacists and behavioral health specialists, depending on the injured employee’s specific circumstances. Having the resources necessary to educate, empower and care for injured employees is not a simple equation. Employers need a company that can bring forward all of the unique resources because every claim and every injured employee’s needs will be different. Sedgwick has in depth experience managing all types of claims including complex and catastrophic and as a result, we have a large volume of data that we can analyze to assist employers through predictive modeling. Our claim units can engage resources for all types of claims, whether it is pharmacy management, field case management, peer physicians or home care management. Ultimately, it’s a matter of all those things being in place – early identification, claims data, experience, focus and resources – all geared to make sure the best possible outcome is achieved for the employee and the employer. In the second part of our series being published on November 3, we will explore the identification and strategies in handling complex and catastrophic claims. Mr. Canavan is the vice president of workers’ compensation and compliance with Sedgwick Claims Management Services, Inc. (Sedgwick) based out of Riverside, California. In this position, Edward’s responsibilities include providing subject matter expertise on workers’ compensation matters; assisting the organization with workers’ compensation best practices, jurisdictional compliance and activism; and providing consultation to our clients. 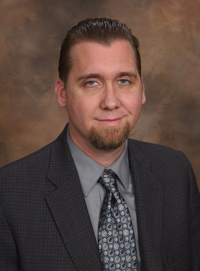 Edward has 20 years of experience in claims management. He joined Sedgwick in October 2001 as a claims supervisor and went on to serve in a variety of roles on some of our largest programs. Before joining Sedgwick, Edward worked for a third party administrator specializing in public entities. Edward currently sits on the board of directors for the California Coalition on Workers’ Compensation and received a bachelor’s degree in business administration from California State University of San Bernardino. He holds ARM and AIC designations and possesses his self-insurance certification with the state of California. Sedgwick Claims Management Services, Inc., is the leading global provider of technology-enabled claims and productivity management solutions. Sedgwick and its affiliated companies deliver cost-effective claims, productivity, managed care, risk consulting and other services to clients through the expertise of more than 12,000 colleagues in some 275 offices located in the U.S., Canada and the U.K. The company specializes in workers’ compensation; disability, FMLA and other employee absence; managed care; general, automobile and professional liability; property loss adjusting; warranty and credit card claims services; fraud and investigation; structured settlements; Medicare compliance solutions; and forensic investigations. Sedgwick and its affiliates design and implement customized programs based on proven practices and advanced technology that exceed client expectations. Sedgwick’s majority shareholder is KKR; Stone Point Capital LLC and other management investors are minority shareholders. For more, see www.sedgwick.com.